Athena’s time at horse camp is now ended, but before they sent her off they had all the girls at the camp put on a little show for their parents, so we could see what the girls learned in their week there. 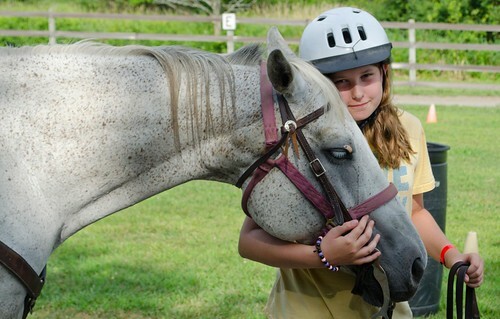 Here is Athena with her horse, named Storm, with whom she got along famously. Now Athena’s home and I suspect is sizing up Daisy to see if she can be fitted with a saddle. That might not end well for either of them.